As Baby No 2 has finally arrived I’m a bit busy looking after her and Little Miss. So I asked if anyone was interested in guest posting and thankfully the lovely Bethany at In The Clouds kindly offered (huge thank you!) Bethany blogs about life, cakes, books, films and more so go show her some love! But first, please enjoy her guest post which is all about places to visit in England. When you think of England most people will probably think of wet weather, afternoon tea and the Queen. However, having lived in England all my life, I know there is so much more to this country than that. Yes, we may all apologies more often than we should and yes, the kettle is almost always boiling away, but English people know how to have a good time and the best places to go to make those times happen. So say hello to my little English travel guide should you ever venture over here or perhaps you are a fellow Englander looking for somewhere new to travel. In that case shall we begin? Becky Falls, Devon: One of my favourite places to visit is the iconic Becky Falls, voted as The Top Beauty Spot In Devon. 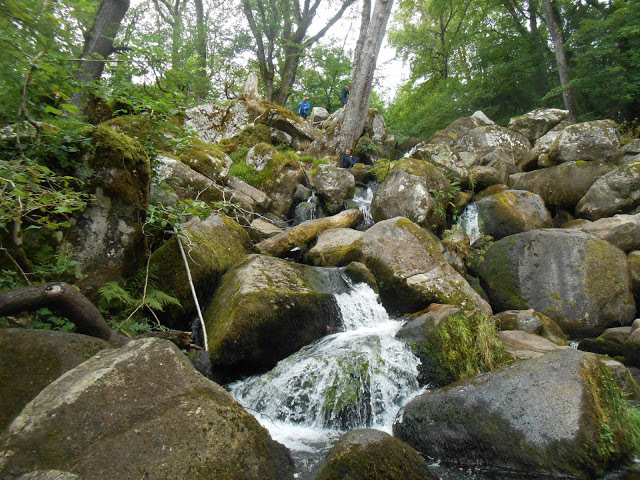 You can spend the day walking through the stunning forest that has not changed since it was first open to the public in 1903, climb to the very top of the beautiful waterfall after completing the bolder clamber and finish your visit with a well earned trip to the cafe. It truly is a magical place and well worth the visit. North Yorkshire Moors, Yorkshire: I spent much of childhood running across these very moors, where nature has taken over and transformed the landscape into a place of outstanding natural beauty. 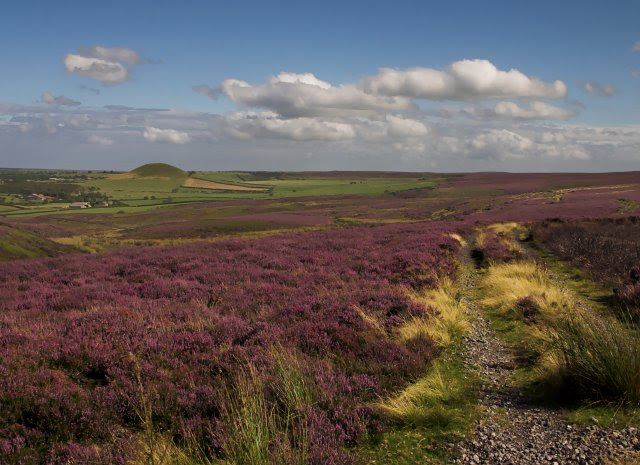 Shaped over generations, the moors are peaceful, rich with history and welcoming to all who visit. 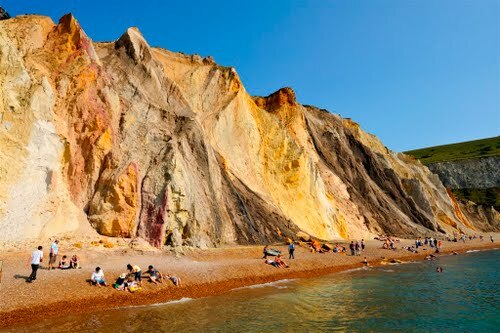 Alum Bay, Isle Of Wight: This is a popular destination for visitors to the Isle Of Wight and is a small bay covered in stones, flanked by multi-coloured sweeping sand cliffs. After taking a dip in the water, you can even sit and enjoy the view of the famous Needles rock formation that the Isle is so well known for. Very picturesque and peaceful, indeed. 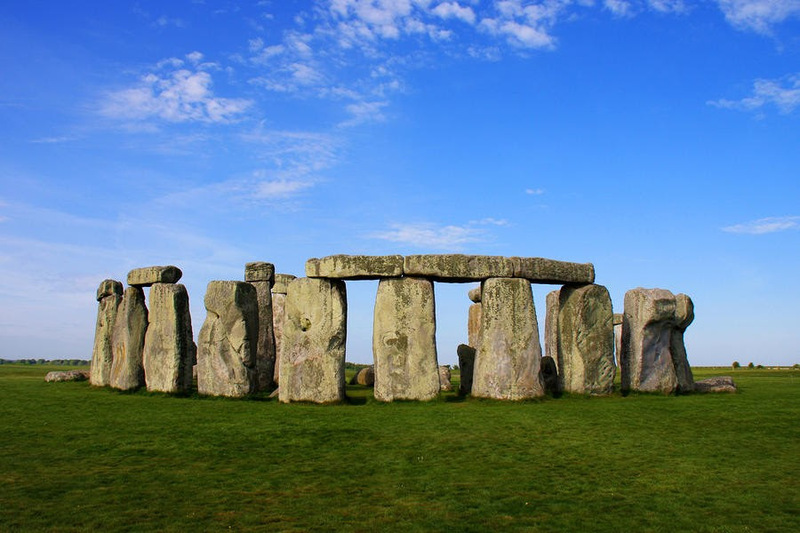 Stonehenge, Wiltshire: This strange prehistoric monument and one of the wonders of the world, has been standing in the middle of no where for millions and millions of years. Even today people are still unsure about it’s purpose but the fact remains that it is truly a place of mystery and magic so no wonder people will come from miles around just to see the amazing architecture and walk in the footsteps of our Neolithic ancestors. Great for any history buff or adventurer! Brownsea Island, Dorset: This beautiful island can only be accessed by boat and is the largest of the islands surrounded Poole Harbour in Dorset. 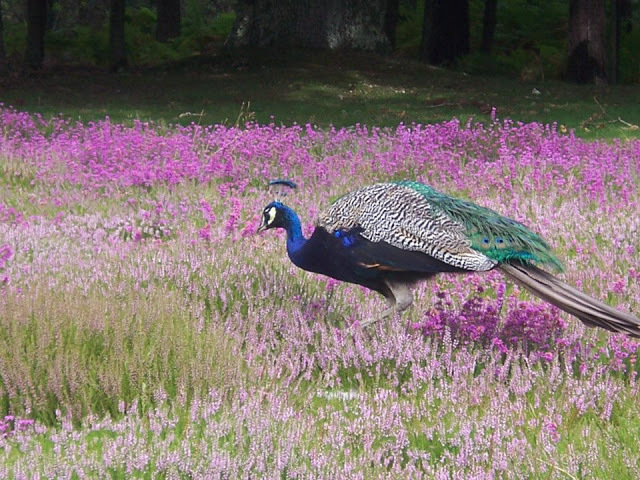 It is owned by the National Trust so as you can imagine Brownsea has some wonderful natural habitats that create a haven for all kinds of widlife like the very rare red squirrel, kingfishers and lots of peacocks. The perfect trip for all the family to enjoy. Tower of London, London: This fortress is found within the heart of London and allows visitors to discover over 1000 years of British history. 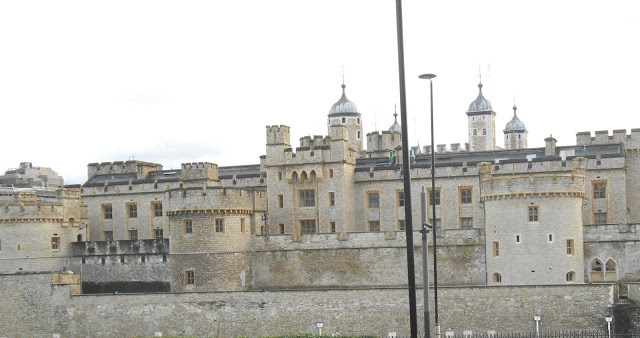 From enjoying the spectacular display of the Crown Jewels and some of the most priceless pieces of jewelry in the world to seeing replicas of terrifying torture instruments, the Scaffold Site where the great names of history died and learning about the beasts who were imprisoned at the Royal Menagerie. Why you are at you can take a look around the famous city of London at the same time! As you can see England is a wonderful country full of some places of outstanding natural beauty, history and wildlife that you won’t see anywhere else. This is just a guide to a few places to visit but there are so many more places just like the ones listed waiting to be visited. So come on over and see what you will discover here! I hope you enjoyed Bethany’s post as much as I did. I always like reading about places to visit and travel. And I can honestly say that there are some fabulous places to visit in the UK. I’ve been to Stonehenge and Tower of London but I’ll definitely be needing to make a visit to the other places the next time I find myself in England — especially Alum Bay, which looks simply stunning! Great photos! Lucky you! I’ve never been to Stonehenge but really want to go. Especially to like a solstice type gathering. I want to do more staycations as well. Definetly want to visit these places as well. Amazing places, they all are interesting. I’ve been only to Stonhenge, but I would love to visit all of them. Never been to Stonehenge – passed by though. Becky Falls looks gorgeous! I’ve never been to Devon, only Cornwall. I’ve never been down the West Country but would really really love to go.